DEMO DISCOUNT IN EFFECT SAVE 2500 DOLLARS | 4000 ADDITONAL CASH REBATE | FREE SNOW TIRES COMBINED DISCOUNT OF 6500 DOLLARS! This is the fully loaded Highline Trim. Includes full leather interior, 18 inch wheels, power folding heated mirrors, memory function mirrors and drivers seat, interior lighting, rear seat pass through, upgraded discovery media 6.33 with touch screen, sat nav, sd card slots, and Fender Audio with 400 watt digital power. 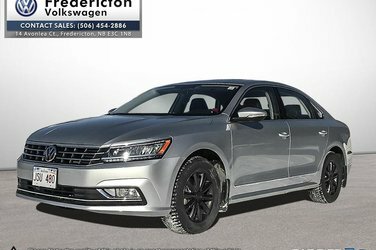 Save thousands of dollars on this Passat the last 2018 we have in inventory! 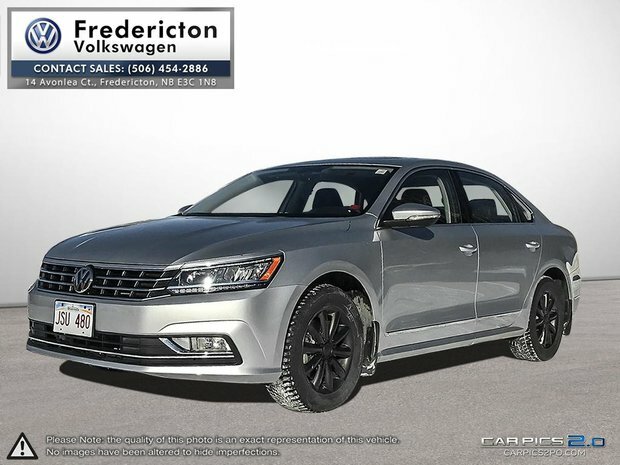 Want to try the 2018 Volkswagen Passat Highline 2.0T 6sp at w/Tip?